Tribal Khasi philanthropist Honsen Lyngdoh, who was closely associated with Richard Attenborough’s Oscar-winning film ‘Gandhi’, said the late British director had plans to make a documentary on Meghalaya’s matrilineal system. The filmmaker died in London on Sunday at the age of 90. “Attenborough wanted to make a documentary film on our rich culture . He was very keen to visit our hills to get first-hand knowledge about the Khasi culture,” Lyngdoh, 80, told IANS. “However, he (Attenborough) couldn’t fulfill his wish or ever set foot in Shillong. 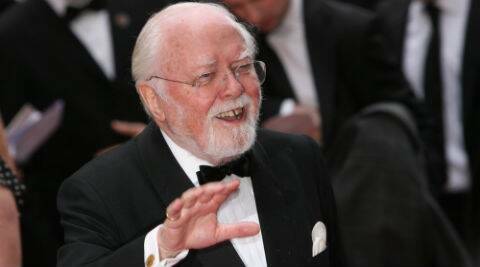 I hope his son Michael Attenborough would visit Shillong and accomplish the dream of my good friend Richard Attenborough,” he added. The Khasi businessman, who is known for constructing roads in remote villages in the eastern part of Meghalaya, said he would also write to Michael about his father’s plan to visit Shillong. Meghalaya, bordering Bangladesh, is a predominantly Christian state of nearly three million people. The Khasis, the largest tribe in the state, account for about one million. The Jaintias and the Khasis put together add up to about one and a half million. Unlike in other parts of India where the bride traditionally moves into the groom’s home, the Khasi tribe operates according to an age-old matrilineal system under which the man shifts to the wife’s residence. Under Khasi customs, dating more than 1,000 years, children carry their mother’s family name and women have the main say in the running of the household. Lyngdoh came into contact with Attenborough when the latter used his 1904 Model-T Ford in his 1982 movie ‘Gandhi’. The scene for which the car was used was in a procession by Gandhi in front of a factory in South Africa. The red beauty ventures out only once a year, during Christmas, and alcohol has to be poured into the radiator to get it started. During the shooting of the movie, Lyngdoh also taught an Australian who was playing the role of a driver how to paddle the vintage car as it did not have a gear shift. “If I recall correctly, my car was used only for less than a minute and he (Richard) paid me Rs.150,000 for using the vehicle, which I purchased from the first British surveyor Mr. Creed for Rs. 250,” he said. Recalling his month-long association with Attenborough in the national capital during the shooting of the film, the octogenarian said: “He always told me that to be a good human being, one should learn how to be a perfectionist and not to be angry with co-workers about any task. “In fact, during the shooting of ‘Gandhi’, there were two persons on the set making critical comments to attain perfection and that is how the movie won the hearts of many people across the world and Attenborough was rewarded with an Oscar.” The film garnered eight Academy Awards, including Best Picture and Best Director.